Update 8:30AM: Vision Vancouver is playing dirty again! The online sign ups for public hearings are supposed to end an hour before the hearings open. But they closed the hearings for mass rezoning the night before. If you haven’t already registered, please go to the city hall in person before 2:30PM and register to speak. Or you can turn up and wait your turn. The council has to listen to everyone who’s there. Update 9:00AM: The City Clerk reopened online sign ups following my complaint. 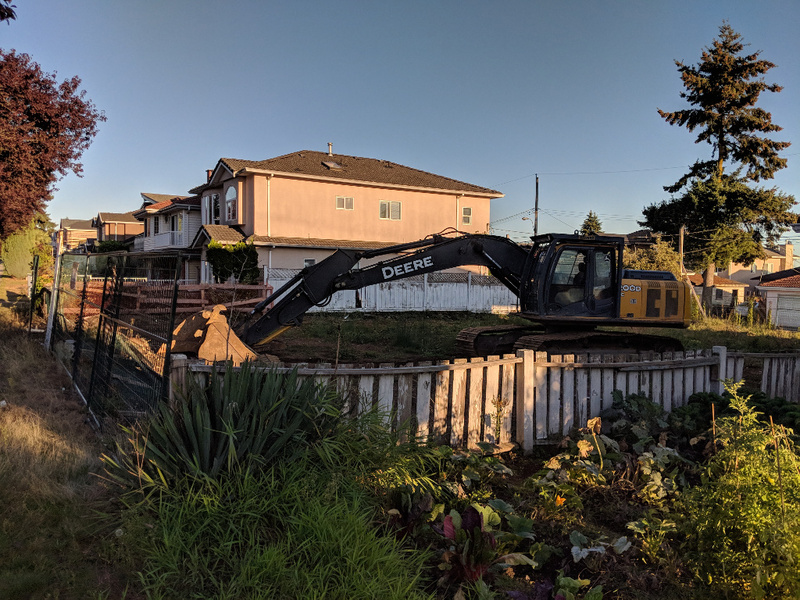 The bulldozers are coming for our neighbourhoods. The Vancouver city council will vote today, Tuesday September 18, to make Vancouver a free-for-all for developers who pour millions into Vision Vancouver coffers. This is the final act of depravity of a Vision’s mayor and council that has ridden roughshod over our communities for a decade. Vision’s vision of Vancouver is a jungle of glass and concrete luxury condo skyscrapers built by the likes of Westbank, Onni, Concord Pacific and Aquilini giving a permanent middle finger to the citizens left despondent by crushing unaffordability. There’s no place in their emerald city for nurses, teachers, police officers and other women and men who serve our citizens with unwavering dedication. But we have the power to stop Vision lame ducks in their tracks. Vancouver City Council will hold a public hearing before the vote on the 18th. The council is required by law to listen to every speaker who signs up to speak. The council can hear approximately 10 speakers a night. So, if thousands of Vancouverites sign up to speak, we can delay it till the next election. I urge you to sign up, make your voice heard, and take part in the citizen filibuster to thwart Gregor and co’s last attempt to drive the knife further into our beloved city’s dying heart. If we don’t stop Vision mayor and council from going through with their final act of wanton debasement, we’ll be allowing them to permanently disfigure our neighbourhoods, snuff life out of our communities, and turn Vancouver into one gaudy gambling resort for the global rich. I believe we should take care of those who take care of us. I dream of a place where those who contribute to our communities are able to afford to live in the city. I’m running for Vancouver city councillor to see that dream come true. Please help me by donating and volunteering to my campaign.